With an ideal escape from the rush of city life and a pleasant surprise for leisure travelers, Araavali Trails is one of the best resorts in Palanpur. This is a place where you will wake up with chirping of birds and first ray of sun. Here you won’t be hearing the traffic noise or pollution issues anywhere around you. At Araavali Trails, they offer you the exclusive holidays in a quite different way. Along with the comfortable stay, this beautiful family resort in Palanpur adds a memorable excitement to stay with them. This is an ideal place to relax, refresh and rejuvenate your tiresome and boring life. And above all, if you are travelling with a family and kids, it is one of the best place for you. Open space will amaze your kids and they will return back to home with lots and lots of tales to share with their friends and a ton of memories to cherish for lifetime. This beautiful property is surrounded all over with lush green farms, forests and a river flowing very nearby that you can even listen the noise of flowing water from the resort. They have many different fun yet action packed activities for their guests which also includes jungle trekking camp, jeep safari, horse riding and many more exciting things to do. 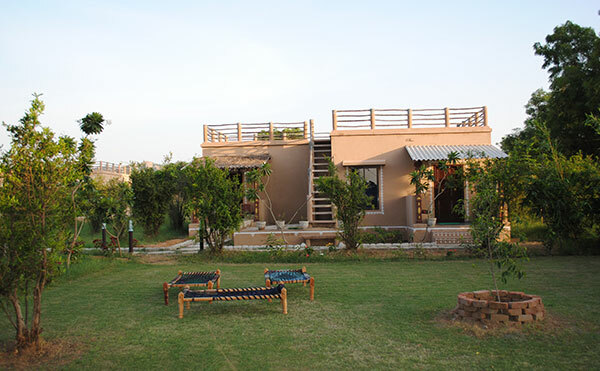 This resort is also an ideal choice if you are searching for a picnic resort in Gujarat. They have a pool where you can take a dip and chill out with your family and friends. Or you can even choose to go for an eco jungle walk also in the morning or evening time. You can see so many kind of birds during jungle trekking camp or eco jungle walk. This is a heaven for bird lovers. Whole day you can listen the chirping of birds instead of the traffic noise of city area. Along with all such activities they provide a very comfortable stay with all the possible modern amenities. 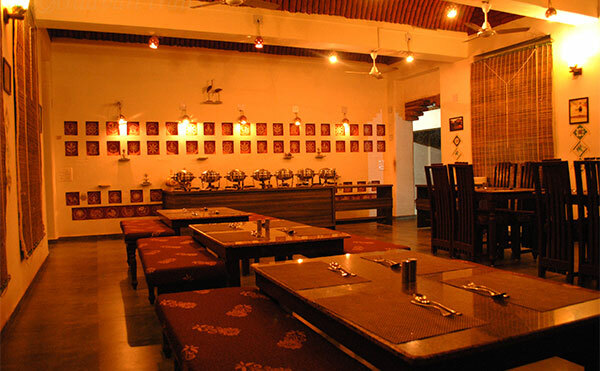 They provide many delightful cuisines suitable to your taste buds to pamper your hunger. At night you can even sit in open garden area or near bonfire. These are just few suggestions list of to do activities at Araavali Trails, the possibilities are endless. Either you are a leisure traveler or you are looking for an adventure packed tour, this place is the best. Relaxation or excitement, Araavali Trails is the best option for everything, and it has something to offer to each and every guest regardless of their age factor. We also provide many corporate tour packages in Palanpur which includes a comfortable stay at the property, delicious meals, exciting activities like jungle trekking, eco jungle walk, horse riding, jeep safari and many more things. Inshort this is the perfect place for you to plan your next trip in Gujarat. You will surely come back with lots of memories to cherish for lifetime. Araavali Trails Copyright © 2019.